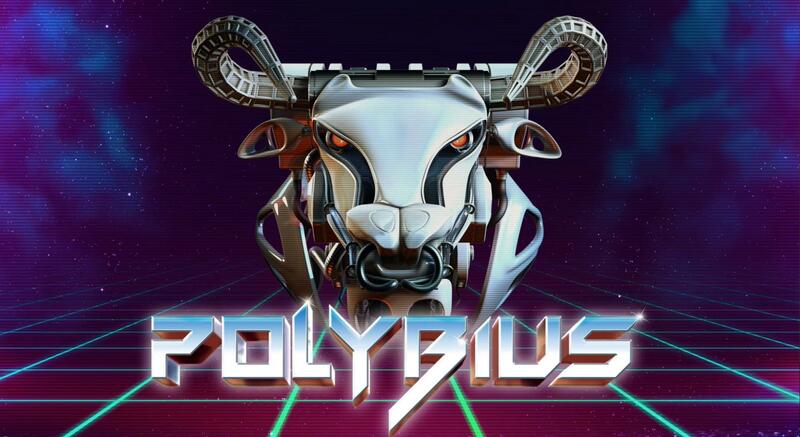 Polybius is coming to Steam. It's a recreation of the long-rumored title that was said to act as a CIA recruiting tool, or some sort of mind-bending hallucinogenic experience, back in the '80s. It's not clear if playing this new version will make you want to work for a three letter agency, but we'd be careful if we were you, as it is mind-bending and highly visually stimulating, despite the low-level vector graphics style. The actual Polybius that you'll get a chance to play later this year is a psychedelic VR shooter which made its first appearance on the PlayStation 4 back in 2016 with PSVR support. Although it can be played without any kind of VR headset, but it definitely benefits from it. Unfortunately, as PCGamer highlights, this new PC version looks like it's only compatible with the Oculus Rift for now, though it seems likely it will receive HTC Vive support in the future. The whole purpose of Polybius is to shoot everything in front of you. You'll gradually travel faster and faster and the experience will get more and more intense. Think Thumper, but without the link with the underlying beat and graphics that look like they're ripped right out of the 80s. As they should be. Do any of you ever hear any stories of people playing Polybius arcade machines back in the day? It seems everyone heard the rumors, but no one played one themselves. Well.... I can see how that was a cia inducing game back in the days, But now it looks like the cia are back at it again :P, The game looks ******* surreal as ****, If you can call it a game, Just not sure who would want to buy this mess of a game though.